David Shariatmadari, the Guardian editor who recently authored a much-derided hatchet-job on the leading British Muslim liberal Maajid Nawaz, has long been something of an enigma. Homosexual and a self-described “sort of pan-theist”, he has nonetheless regularly painted a rosy picture of Iran’s theocratic government and has also, according to a variety of Muslim liberals, blocked reformist voices and those who are critical of the Islamic Republic of Iran from writing for Guardian's "Comment Is Free". Born in London to an English mother and an Iranian Muslim father, educated at the exclusive Christ’s Hospital School in Lincoln, Shariatmadari attained a degree in Arabic, Persian and Linguistics at Kings College, Cambridge, and subsequently a Linguistics MA at SOAS in London. On the way, he flirted with the right, including penning a sub-Rod Liddle diatribe against ‘diversity’ and civil service waste for the Spectator (“You can hardly move for diversity action plans and diversity monitoring grids”) and for the corporate world, writing for BP’s in-house magazine Horizon. "My uncle, who sent us boxes of 'gaz' - a Persian delicacy from Isfahan - and pistachios every so often and had been put in prison by the Shah (three months solitary confinement for attending a protest against French actions in Algeria), started working for the new government. He came to see us when I was about three, with "protection" in tow. This man appears sheepishly in some of our photo albums. He was a student and assistant really, but in family myth he became a bodyguard with a gun"
In another article, he again casually references meeting this, still unnamed, uncle on a visit to Iran, writing of his “a simple trip to see my uncle and aunts, the town my dad grew up in, my grandfather's grave”. Who was this mysterious, un-named but clearly powerful uncle, who arrived escorted by a bodyguard, who David so coyly describes as “working for the new government” of post-revolutionary Iran? It can now be said with a high probability of certainty that Dr Ali Shariatmadari, one of Ayatollah Khomeini’s closest political lieutenants and the man entrusted with purging the country’s universities of suspected secular and ‘un-Islamic’ intellectuals, and particularly Leftists, is his mysterious uncle. A former school teacher, university lecturer and a committed Khomeini zealot, who was indeed jailed briefly under the Shah, Ali Shariatmadari was initially appointed as Minister of Science in Iran’s relatively moderate and inclusive post-revolutiona interim government in 1979. However, once Khomeini’s Islamists took full control of the government later in 1980 and launched their assault on their erstwhile Left-wing allies, Shariatmadari was appointed Minister for Higher Education. Soon afterwards, in June 1980, Khomeini personally appointed him to co-establish the country’s Supreme Council of the Cultural Revolution, the unelected body which to the present day imposes draconian restrictions on Iran’s cultural, educational and intellectual life in the name of revolution and Islam. In this dual role on the Supreme Council and as Minister for Higher Education, acting under Khomeini’s personal orders, Ali Shariatmadari led the Islamist regime’s purge of Iran’s intellectuals; universities were closed in 1980 for two years to facilitate the purges, over 800 lecturers and academics were dismissed, many into lives of poverty or exile, and others – including intellectuals, academics and poets – were jailed or executed after often cursory show-trials. An estimated 8,000 people, men, women, old and even teenagers were executed by the regime during the eighties. 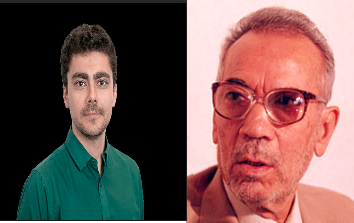 continues to sit on the council today, a fact which David Shariatmadari has strangely never acknowledged in his numerous articles for the Guardian on Iran – even ones that directly reference his uncle! "But who am I to talk with any authority? I experienced the Iranian revolution at one remove and was in no position to make sense of it. Even now it's impossible to give a judgment; there were millions of revolutions, experienced in millions of different ways." !! Has moral equivocation ever been so immoral? The Iranian ‘Islamic’ revolution, partly thanks to the actions of David’s own ‘Uncle Ali”, has led to judicial stonings, the execution of adulterers, the public hanging from cranes of those guilty of ‘apostacy’, the discriminations against homosexuals, the systematic restriction of women’s rights, the casual routine execution of political prisoners (5,000 in 1988 alone) but who is David Shariatmadari, the nephew of Dr Ali Shariatmadari, to judge? How much do his family ties prevent him from reporting on the true nature of Iran’s government? "Iranian democracy is far more than the regime-orchestrated sham many westerners assume it must be. It falls short on two crucial measures: all parliamentary and presidential candidates are vetted by the conservative Guardian Council, and the supreme leader of the nation is, of course, unelected. But there is no denying that in 2009 we have had a real contest; the candidates have been exposed to scrutiny, there is significant difference between the policies on offer and the results are, as yet, anyone's guess." Within days, however, Iran’s conservative faction had effectively rigged and stolen the election, arrested the winning candidates, and then cracked down violently on the resulting protests. As “many Westerners” – and many better informed Iranians – had correctly surmised, “Iranian democracy” was indeed a “regime-orchestrated sham”. Undeterred, rather than apologising for his woeful analysis, he soon after published a lengthy denunciation of Mujahideen-e Khalq (MEK) the Leftist Islamist opposition/rival group to the mullahs who helped the mullahs come to power in 1979 but then fell out with them when they received no share of the power. Now, if David Shariatmadari wishes to defend elements of the Iranian regime and to attack Muslim liberals and to block them from writing for his employers at the Guardian, this is his personal choice. However, it seems only fair for Guardian readers, and would-be liberal Muslim contributors, to know of his links to the regime and of his uncle’s role in the systematic persecution of Iran’s intellectuals. Indeed, given David Shariatmadari’s close family ties to Iran’s brutal theocratic and massively corrupt rulers’, his recent snipes at Maajid Nawaz for his “closeness to the law-making elite” can also now been seen as exposing jaw-dropping level of hypocrisy. In his recent article on Nawaz, Shariatmadari took aim at what he calls Quilliam’s “credibility gap”. Maybe his next article should ponder his own deliberate silence over his uncle Ali’s role in the bloody persecution and the silencing of Iran’s leftwing and liberal intelligentsia, and then consider why The Guardian, like so much of the British Left, has its own “credibility gap” with Muslim and secular Iranians. Before writing this post, I emailed, messaged and phoned David Shariatmadari to give him an opportunity to deny Ali Shariatmadari is his uncle, but he refused. Lincoln Christ's Hospital School isn't "exclusive", it's a state comprehensive. It just has a posh name.